Janei Folz' expressive canvases articulate the sensory perceptions she takes from the vibrant colors and shapes of nature relative to her life and spiritual experiences. Outdoor motifs, whether all natural or accentuated by man, especially move her. Janei's work reflects deep love of light and the delight she takes in assessing the dancing interplay of brightness and shade. Janei's passion for creating art began at Saint Mary's Academy in Denver, leading to a Bachelor of Arts degree from the Loretto Heights College of Colorado. She subsequently studied with Rob VanderZee and distinguished artists of the Torpedo Factory Art Center in Alexandria, Virginia. 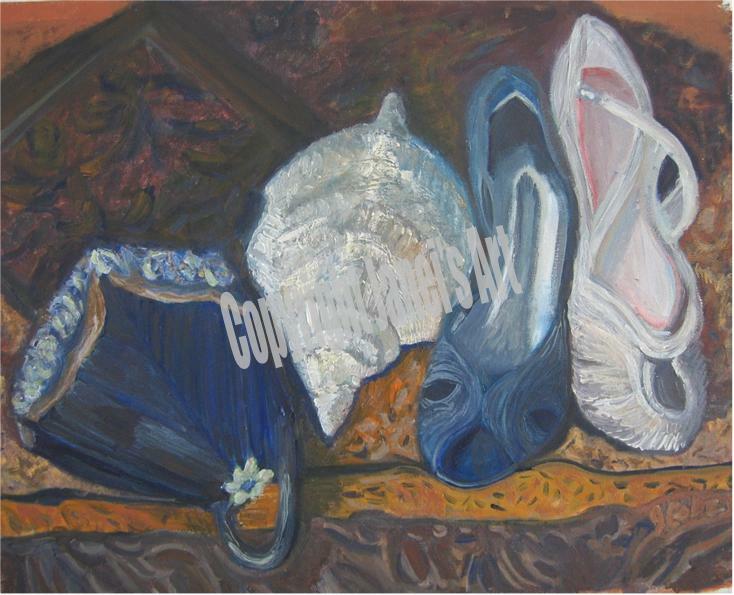 Janei's art has received awards at exhibitions in Old Town Alexandria, including her "Shopping in Del Rey". Her work is frequently exhibited by galleries of the Torpedo Factory in Alexandria, the Art League of Ocean City and the Rehoboth Art League, and at special exhibitions across the Delmarva peninsula. She is active in many art societies of the Mid-Atlantic area. She currently lives and paints from her studio in Bayville (West Fenwick Island), Delaware.